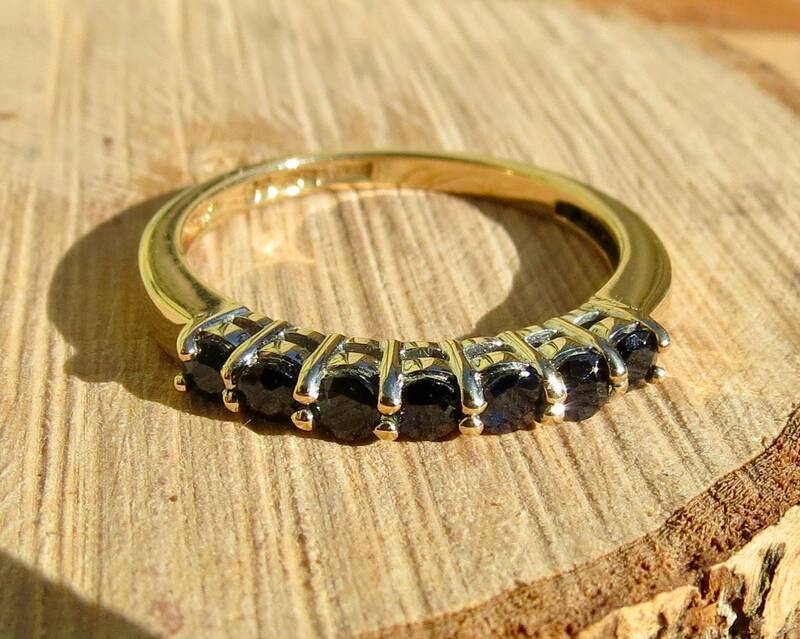 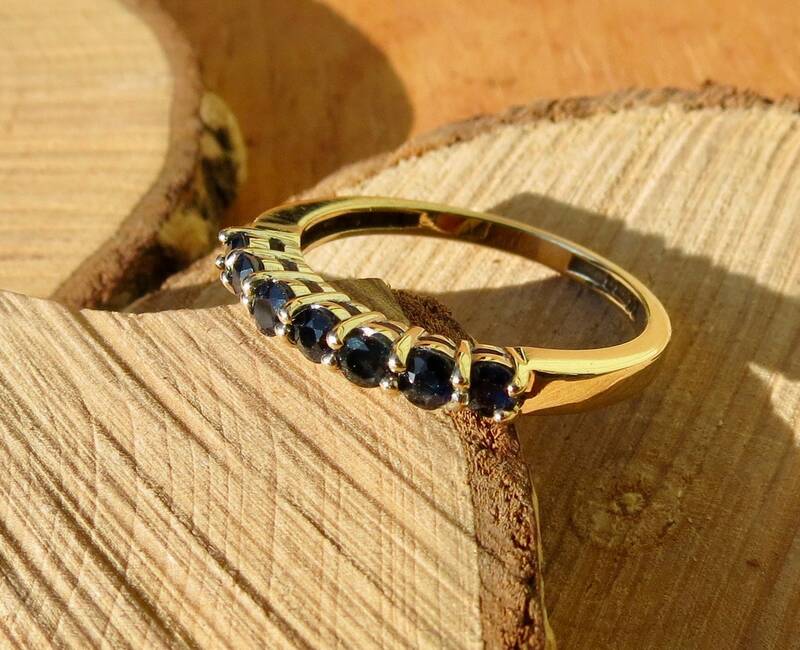 A vintage 9k yellow gold ring with 7 round cut sapphires. 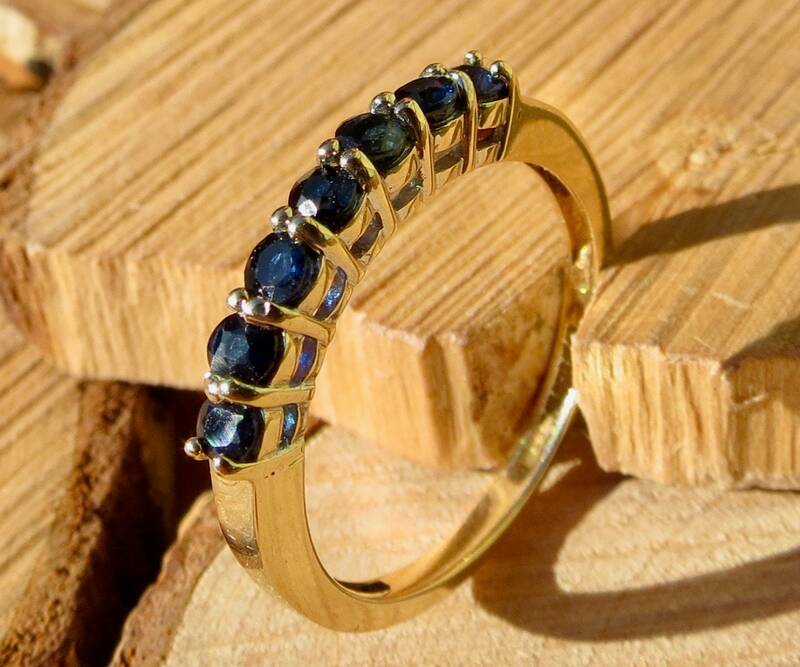 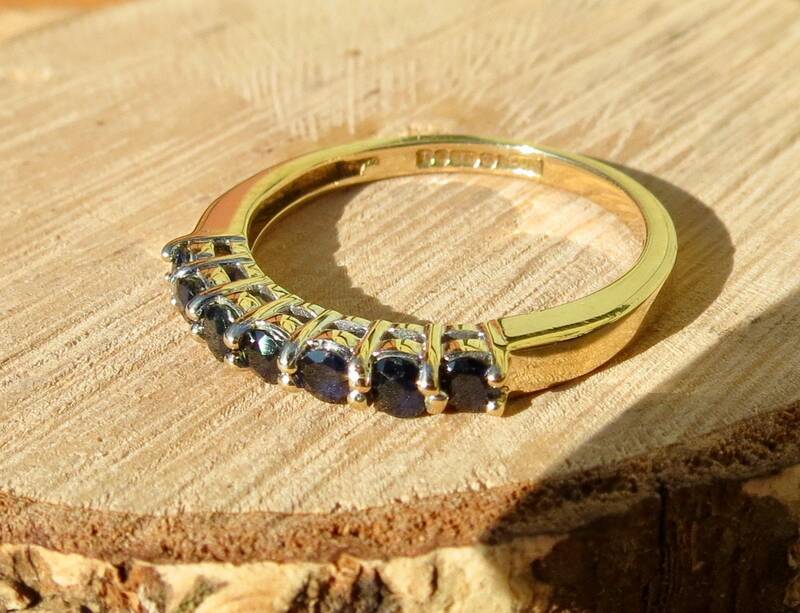 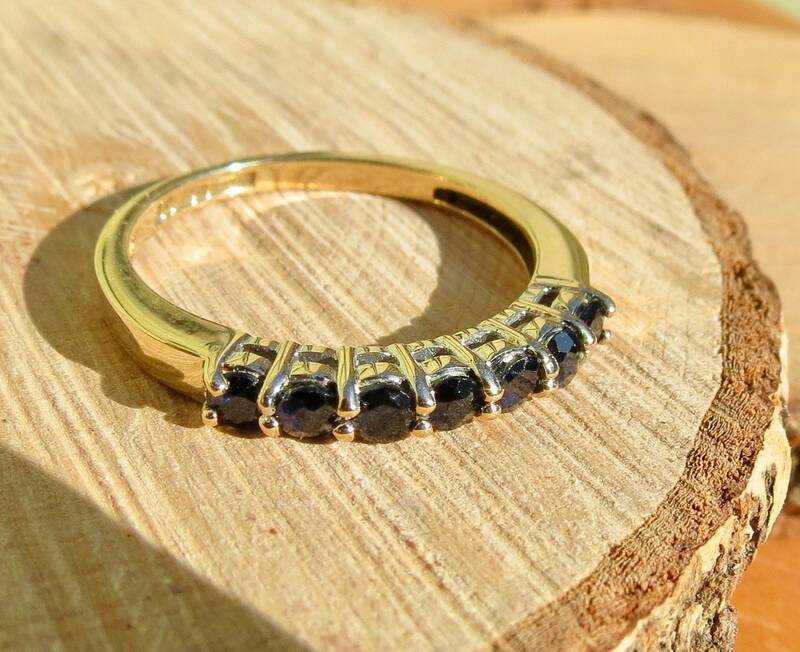 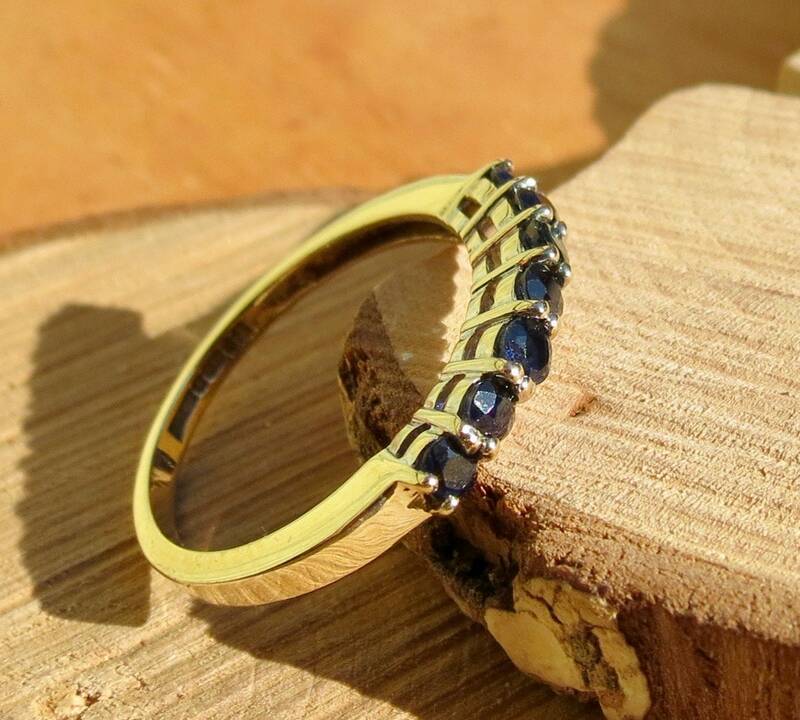 A vintage 9K yellow gold ring has 7 round cut midnight blue sapphires claw set leading to a plain band. 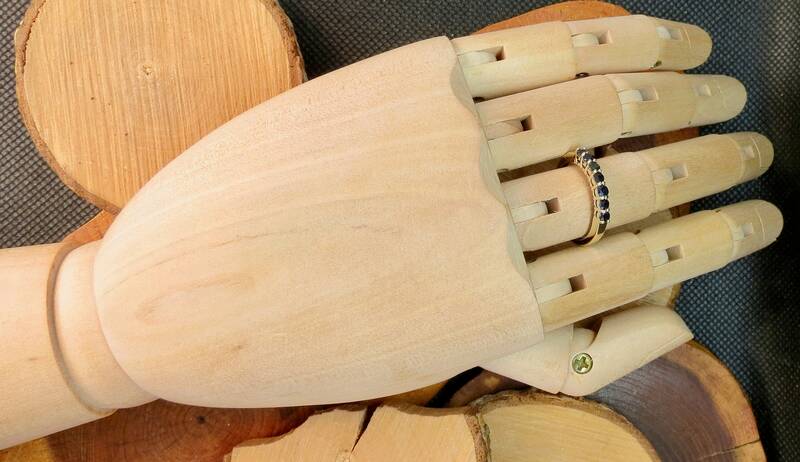 7 is for some a lucky number. 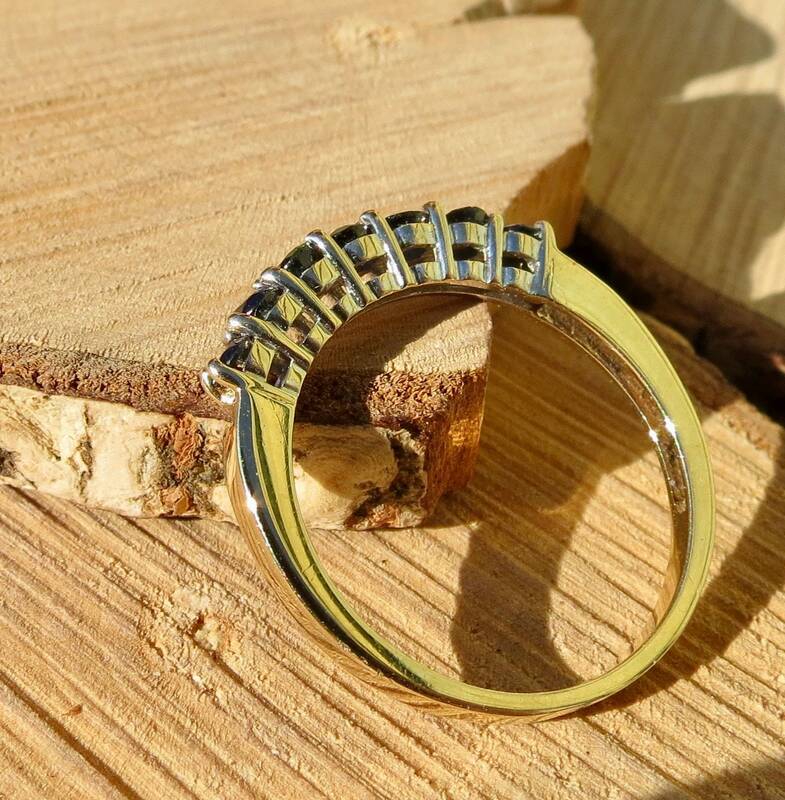 2mm band width, this ring would make a great stacker. 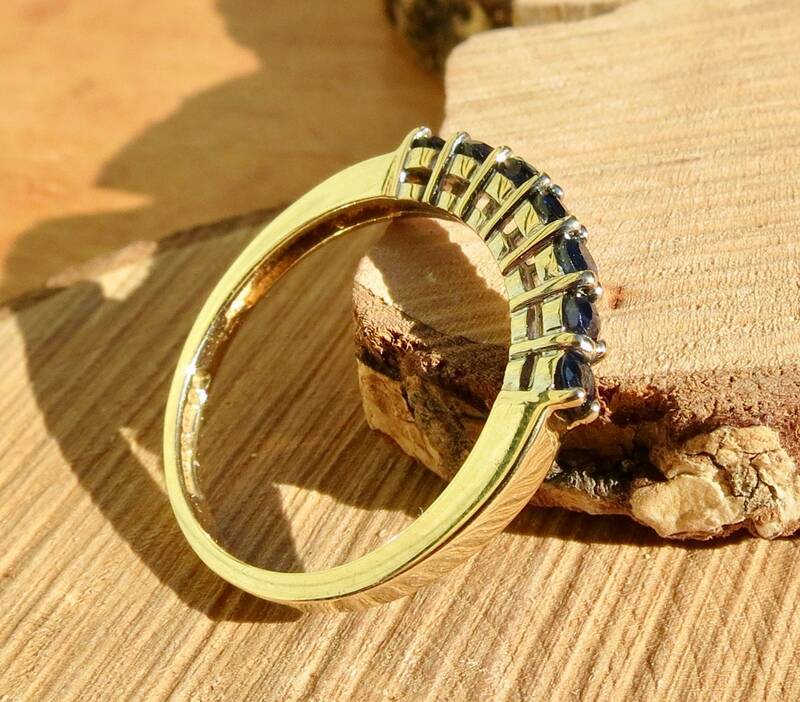 All you have to do is add the listing 'Please resize my ring' to your cart before gain through checkout.